In the firm's first Resiliency Barometer report, G20 companies scored only 40 points for resiliency out of a top score of 100. Despite facing a host of potentially damaging risks — from data hacks to regulatory disruption — large companies in G20 countries are relatively unprepared to successfully deal with them, an FTI study shows. 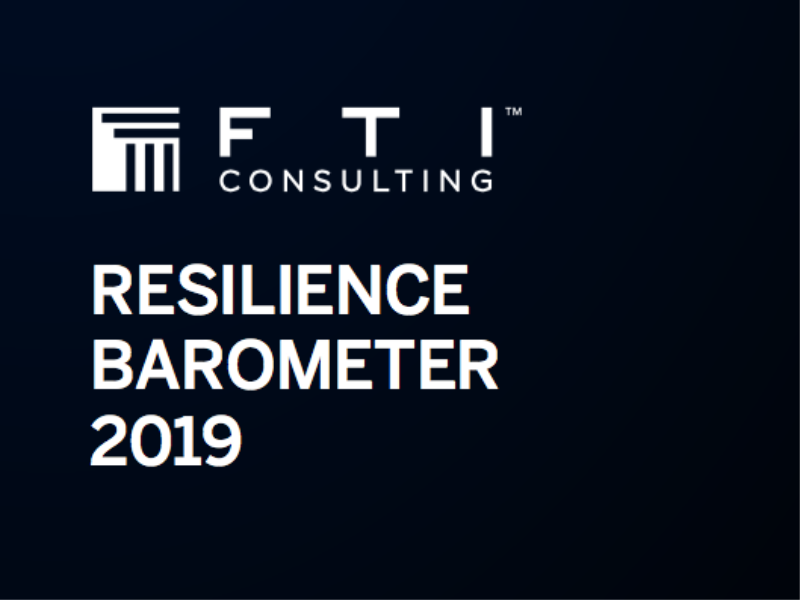 The firm’s inaugural Resilience Barometer report — which assesses companies’ preparedness to handle 18 situations that could hurt their turnover, value or reputation — found that the resilience score for the G20 companies is only 40 points out of a top score of 100 points. Each of those situations related to the larger issues of regulatory and geopolitical disruption; leadership, culture and communications; adapting to change and business model resilience; or protecting against new threats such as data privacy hacks and cyber security. Additionally, the group’s turnover has been lowered by an average of 5.1% over the last 12 months, due to not effectively preventing or managing these scenarios. “This lack of preparedness has cost a staggering USD$81.6 billion, just those firms we researched,” said Kevin Hewitt, FTI’s EMEA chair. The research, which surveyed executives from 2,248 large companies across the G20 countries, found that cyber attacks stealing or compromising assets are the biggest threat to resilience in 2019; 30% of companies surveyed experienced such an attack in 2018, and 28% of business leaders predict they will be targeted in the next year. Yet just 45% said they are taking proactive steps to manage the risk. The US score strongly compared to the G20 average with a score of 46 points, compared to only 41 points in the UK and 32 points for Germany and France. Six of the 10 countries with above-average resilience are considered emerging markets. The financial industry was found to be the most resilient with a score of 47 points, primarily due to it being proactive in preventing regulatory fines. The services industry is lowest at 31 points, largely due to being particularly susceptible to cash flow issues from bad debt. None of which is due to the companies not being aware of the risk they’re at, said managing director Andrew Pimlott. In fact, 86% of companies across the G20 have experienced at least one of the 18 potentially damaging situations during the last 12 months. “Yet companies are still remarkably underprepared,” he said, adding that the onslaught of new risks may be part of the reason for that. “This rate of change may be too fast for companies to deal with. The survey shows that risks are materialising into significant impacts, but companies are mainly taking a reactive approach to both risk management and resiliency,” he said. In the study, however, FTI said businesses need to change not only so they are equipped to handle — and bounce back from — threats to their companies, but also to be able to sustain themselves while in the throes of change. “Put simply, they must be resilient in order to thrive in much more difficult day-to-day conditions,” the study said.